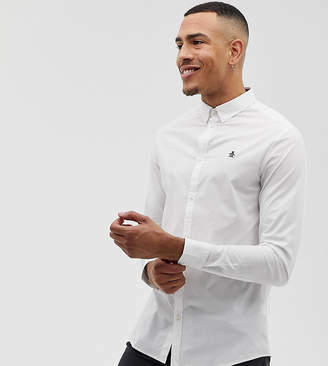 Big Tall shirt by Original Penguin, One for your wardrobe, Button-down collar, Long sleeves, Button placket, Small logo, Regular fit, A standard cut for a classic shape. Starting life as a golf shirt back in 1955, Original Penguin became synonymous with the era's most talked-about stars, such as Frank Sinatra, Dean Martin and Clint Eastwood. With a nod to its Americana roots, the brand designs a collection of T-shirts, jackets and accessories alongside its classic polo shirts.